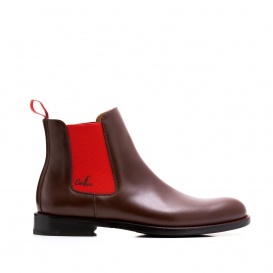 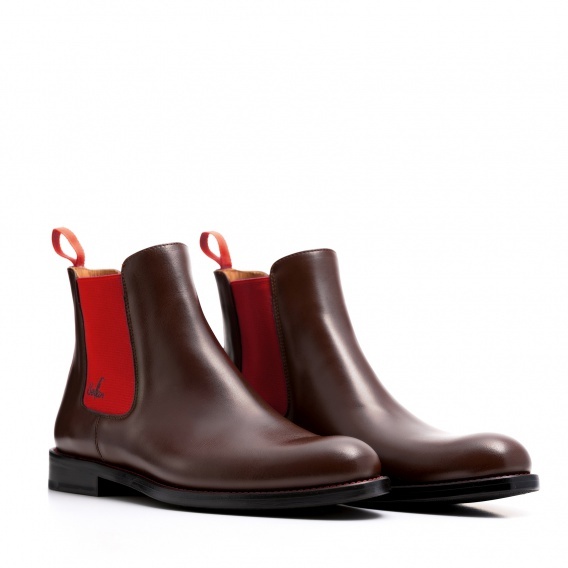 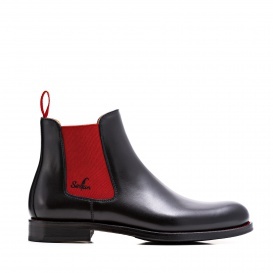 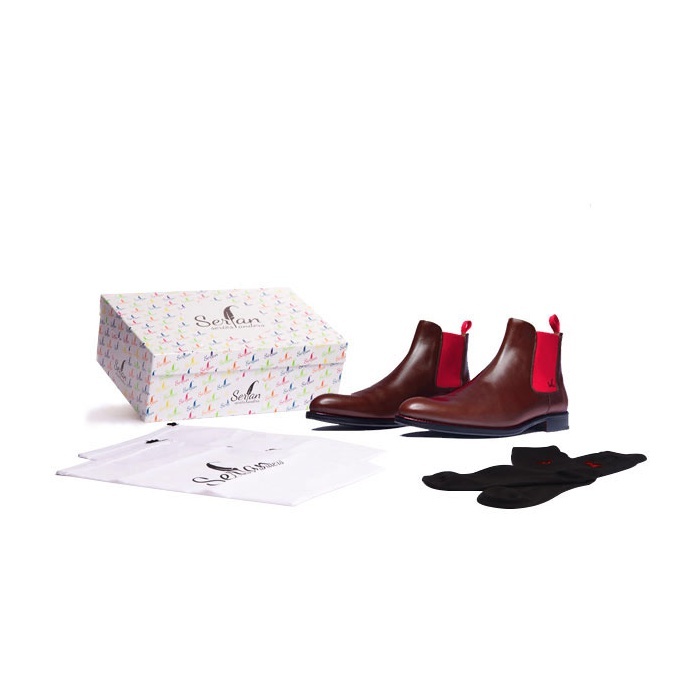 Thanks to the red spandex, the brown Chelsea Boot is a real eye-catcher. 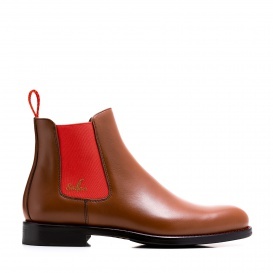 People who like to wear red have a lot of life energy and a cheerful mood. 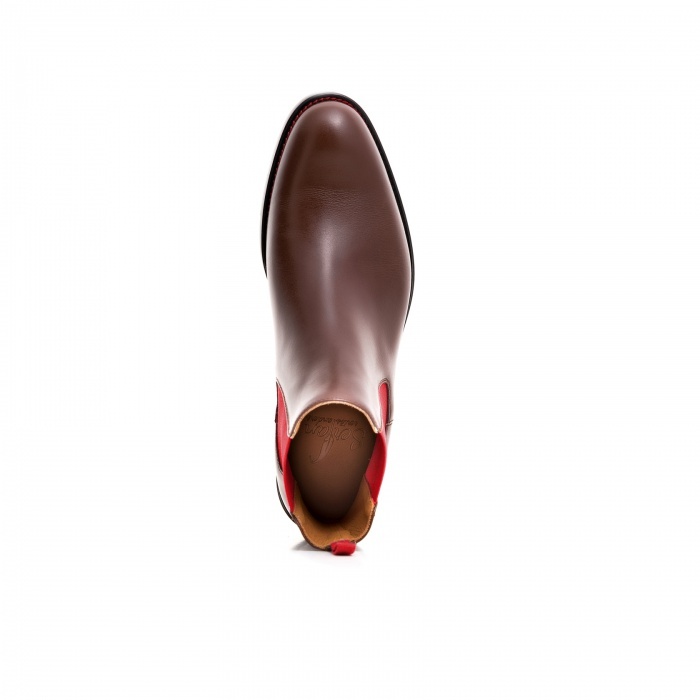 The bright color fits in the office as well as in the opera and attracts all the attention. 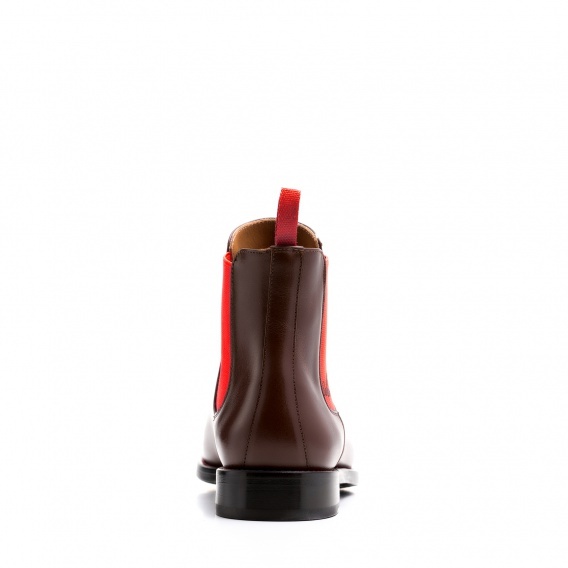 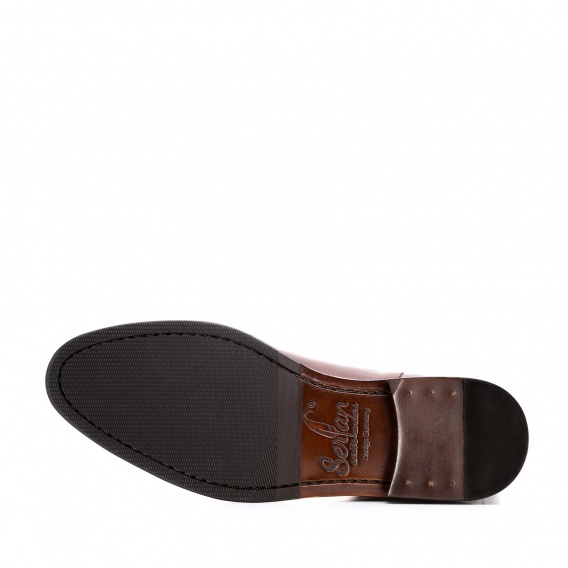 Good fit and a high wearing comfort are guaranteed by the rubber straps on both sides. The brown Chelsea Boot with a camel colored coat and a washed-out jeans make a perfect and stylish outfit.